These Pokémon Cards Are Slightly Different. Can You Tell? One card is Japanese. One is English-language. But that's not it. 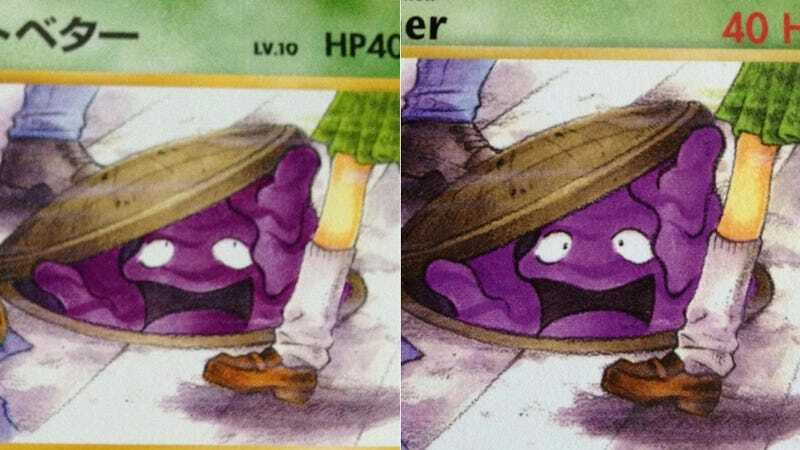 And sure, the Pocket Monster is "Grimer" in the West and "Betobetaa" (ベトベター) in Japan and the HP order and font were changed. Those aren't it, either. Those are big differences. There's a slight difference between these two Pokémon cards. Can you spot it?